When working with sell-side agreements, too many companies rely on homegrown contract lifecycle management (CLM) solutions that lack the flexibility and responsiveness needed to effectively manage contracts and quickly close business. So, if your company does not have an automated CLM solution, how would you develop the business case to make that investment? It's important to identify the business need for CLM, but first you need to understand the many factors that pressure the contracting process, buy-side or sell-side. This article looks at the risks, the opportunities – and the experience of three companies that are reaping the benefits. Most companies still rely on rudimentary processes and homegrown systems to manage contracts. In today's volatile business environment, this approach is dangerous. Companies may leave millions of dollars on the table, waste valuable resources, and expose the business to non-compliance risks. Revenue factors, including rising contract volumes, might come from organic growth or, increasingly, growth by acquisition. The length and complexity of contract negotiations rise due to competitive pricing pressures and the added scrutiny of contract performance objectives, as well as the typical commercial terms and legal language review. Operational factors, such as maintaining static or reduced headcounts to support current and future contract volumes. The variation of standard contract terms and conditions often increases as business practices evolve to support organizational growth. Demands of mobile and remote user communities with staff located across the world increase complexity and strain existing manual standard operating procedures (SOPs). Compliance and risk mitigation factors are critical, since sales contracts represent an organization's pipeline. This drives many global contracting operations to “partition” contracts at the individual, local business unit level, while granting access and visibility of all contracts to corporate operations. Analyzing organizational process compliance, providing overall operational performance metrics, and producing regulatory and financial reporting at both the local and global level are challenging, intense manual processes. Producing timely responses to internal and external audit requirements is also resource intensive, detracting from an organization's ability to respond to the work at hand. Quantifying these factors will help your own organization see the potential benefits of reduced contract cycle time, increased win rate of opportunities, and accelerated responsiveness to corporate compliance mandates. Three scenarios below illustrate the value and benefits of cutting contract cycle time, CLM integration and achieving consistent worldwide standards and storage. A global technology company with $1 billion in annual revenue was facing many of these pressures in their contracting process. Each local market had its own independent contracting process, all of which required corporate legal and commercial review. This created a significant contract backlog and extended cycle times. As the business grew, 25% of its deals began to slip into the next quarter, resulting in $60 million of at-risk revenue each quarter. Sales forecasts were inaccurate because of delayed deals, and the company was wasting money managing and training temporary resources to try to reduce the contract backlog. To help solve these problems, the company implemented a single global CLM solution to speed up contract cycles. The automated solution now allows for implementing localized variations of workflows, content, language and currency through divisional controls - enabling individual business units to work independently while adhering to corporate standards. Global security and accessibility controls ensure local teams can only access appropriate contract information, while the corporate team has complete control over all regions. When the company acquires new business units, they are easily added as another division, using existing standards and controls with new localized variations. As a result, the company was able to reduce the legal review process by one day, and cut down the overall contract lifecycle by five and a half days. By moving to a cloud-based solution, the company can manage its contracting environment faster and more effectively, and stop relying on internal IT resources. As an additional benefit, the online training and education included in the solution simplifies onboarding of new employees, shortening time to productivity for all new stakeholders in the contracting process. The result? The company reduced contract approval cycles, cutting deal slippage to less than 5% of total deals and protecting $60 million of at-risk revenue. Another scenario involves a global aircraft manufacturer operating multiple divisions in several countries and managing business-to-business (B2B) relationships and contractual agreements in multiple languages and currencies. The company managed its complex sales and supply chain contracts and request for proposal (RFP) responses manually, using spreadsheets, email, and shared folders. This posed a significant problem: without a system to track progress, push through processes, or streamline communications during contract development, the company was experiencing issues with version control and approval delays. It was difficult to locate scattered documents or resources, which not only affected employee productivity, but negatively impacted negotiations and customer relationships, putting opportunities worth $50m at risk. These problems were further magnified under the microscope of the meticulous government RFP process, which required strict attention to minute details. Lack of integration of the contracting, ongoing relationship and revenue management functions was causing costly mistakes. And when the company needed to develop new agreements, the lack of insight into past performance made it difficult to know which actions were profitable and which were not. To alleviate these issues, the manufacturer implemented a CLM solution across multiple business functions, including its sales, operations, supply chain, and RFP teams, and integrated it with its customer relationship management (CRM) system. Automating its RFP response process allows the company to bid on more RFPs and increase win rates. The solution enables efficient authoring, review, approvals, amendments, and renewals with proper version control. E-signature functionality enables users to complete tasks on the go, further preventing any contracting process or deal cycle delays. The CLM solution also enables the manufacturer to assess contract performance and gain insights that can be leveraged when developing future agreements and pricing structures. A third company, an image technology provider with offices around the world, had been drafting and storing contracts using a wide range of programs and processes, causing fragmentation and inconsistency. Sales teams drafted customer contracts but didn't always follow standards for language, format, or recordkeeping. The company didn't have a global document management process or central repository – so they had no consistent way or place to store the contracts and manage every iteration. Thousands of contracts were created each year, typically more than 2,000 contracts for just one business unit in a given region. Often, paper copies of contract drafts were stored in file cabinets or in employees' home offices. It was challenging to manage and track such large volumes and still remain compliant with the Sarbanes-Oxley Act5 as well as internal control standards. Company management reported spending many hours of valuable time searching for the final versions of contracts. The process was unruly, even chaotic, a drain on productivity - and it needed to change. The company had many different types of contracts, agreements and arrangements of varying duration, many highly complex. Without a universal system for contract creation, many agreements weren't written in standard contract language, and consequently were more difficult to administer. Without a central repository, the company struggled to track and retrieve contracts for reporting, litigation, and audit purposes. Initially, the CLM solution was implemented for sell-side contracts only and limited to a single business unit. However, the company has now expanded use to multiple business units throughout the United States, Canada, Asia-Pacific region, and Europe. Latin America will complete a global rollout that supports more than 34,000 agreements and more than 750 users. During a recent corporate audit, the company was able to easily search the repository and provide the information to the audit team in less than a week. Business units not using the repository had a much more difficult time locating and producing the contracts, taking weeks rather than days. Successful companies need an arsenal of selling tools to produce results. One of the most important and undervalued is effective sales contract management. Delays in creating, negotiating, and approving contracts can have major consequences — an end-of-quarter sales backlog, missed opportunities, and lost revenue. But experience has shown that adding staff doesn't solve the problem; it only drives up expenses. Accelerate revenue: A sell-side CLM solution can improve standard operational cycle time to close deals faster and recognize revenue sooner. By integrating CLM with a CRM system, organizations can engage earlier in the process, from RFPs to renewals. Improve operations: CLM accelerates an organization's responsiveness to sales requests, increasing its competitive advantage to win more opportunities. It also enables organizations to configure contract processes, workflow, content, and data to match the unique way each business unit operates. Promote compliance and mitigate risk: By integrating with other enterprise systems, such as CRM and ERP, CLM supports compliance with contract revenue objectives, providing line of sight to all contract commitments. The objective for defining your business case is to gain executive support for change. But that is only the first step. CLM integration provides actionable insights into operational efficiency, contract effectiveness, and contractual and organizational compliance requirements. Tracking ongoing improvement through CLM automation will allow you to deliver your original business case as part of your ongoing operations. The Revitas Blog: “Buy-side versus sell-side contracting: Who's got it right?” Interview with Tim Cummins. May 16, 2012. Sarbanes Oxley Act - a United States federal law that set new or enhanced standards for all U.S. public company boards, management and public accounting firms. Hie Jung Yoon is the Manager – Solution Engineering for Revitas. She has been with Revitas for nine years, focusing on enterprise contract management in the life sciences and commercial markets. 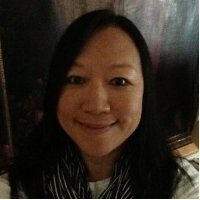 Prior to joining Revitas, her enterprise software and solutions experience includes consulting and implementing solutions for enterprise channel management and supply chain management for high tech and complex manufacturing, as well as enterprise resource planning solutions focused on process and pharmaceutical manufacturing. She holds a BA from Northwestern University. Revitas helps organizations accelerate revenue through diverse, multi-level sales channels by delivering enterprise-class solutions that tailor channel and contract management to the needs of the business. For over 25 years, Revitas has enabled companies in the most challenging, channel-intensive industries to achieve best-in-class performance and sustainable competitive advantage. For more information, visit http://www.revitasinc.com. I have watched the session 'Ask the Expert - Transitioning from Pre-Award Contract Management to Post-award Execution: Part 1.' with interests. As indicated in this session, there are possibilities that contracts will be signed with risks such as unrealistic timetable, untried products and unclear scope etc. I think those risks will not be reduced even though the effective handover will be conducted. So it is necessary for post-award contract management to know in advance or to recognize at the timing of handover. To be informed with those risks at the handover, the engagement team should be honest to disclose those issues and risks with integrity. I think that is the most important point for handover. The point you make is important because the frequency with which there is real uncertainty is increasing. Transition should be accompanied with a formal workshop, ideally involving pre and post-award teams from both parties, to ensure there is mutual understanding of goals and risks and that the mechanisms are in place to deal with uncertainty or ambiguity. We address this in detail in the IACCM advanced training curriculum. You make a good point and I echo Tim's comments. In my experience, about half the risks that materialize on a contract have roots in activities that occur pre-contract (like the things we talked about in the session). The other half though occur as a result of things that don't go so well post-contract. Performing an effective handover will certainly help to reduce the likelihood of occurrence of the first set of risks (and may impact the second) but will not reduce that likelihood to zero.